Instead of wiping away your tears,you should wipe away the people who made you cry. Don't let other people's behavior make you act differently. Stay true to you. It depends on what was said to make you cry in the first place. Also Don't depend on karma...it takes far to long! Just be nice to others because it's the right thing to do...!! Karma is not just for your enemies. It is a natural occurance of reaping of what you have sown. No one escapes reaping. Karma reveals the beauty of grace. It's better to have a beautiful heart because it shines through and that will make you beautiful. Beautiful face fades away as time goes by but a beautiful heart will always remain beautiful no matter what. 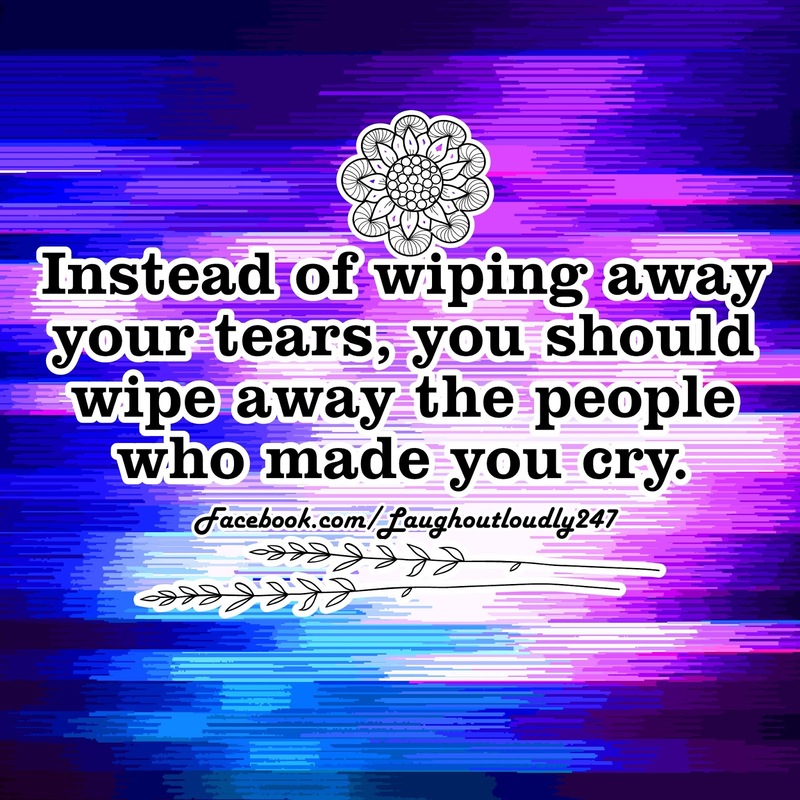 Wipe away the people who made you cry picture/image is an Inspirational Stuff to Inspire and Motivate You. You can download pics by just clicking on the Images. Thanks for visiting Truth Follower an online place for huge collection of inspiring pictures, quotation, and Sayings Images. If you like Wipe away the people who made you cry, Please Share with friends and family on Facebook, Twitter, and Pinterest.